Submitted by mark on Sunday, December 23rd, 2012 at 1:34 pm. Submitted by mark on Monday, July 22nd, 2013 at 2:37 pm. 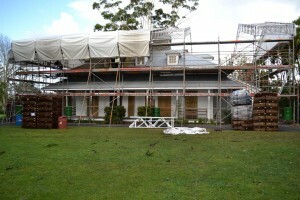 A protective cover is placed over Te Waimate Mission in preparation for the re-shingling work. 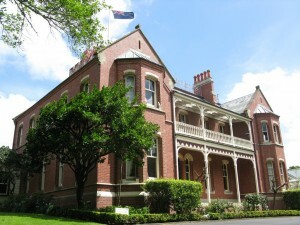 New Zealands's second oldest building has been temporarily closed to the public - but there's a very good reason. Te Waimate Mission – built in 1832 and now cared for by the NZ Historic Places Trust – is currently being re-roofed with wooden shingles which, once completed, will recapture some of the building’s distinctive character and charm." Submitted by mark on Monday, July 22nd, 2013 at 1:36 pm. 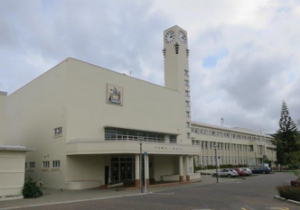 "The historic importance of a Ponsonby landmark has been recognised by the country’s lead heritage agency. The NZ Historic Places Trust recently registered Bishop’s House as a Category 1 historic place, identifying it as a place of outstanding heritage significance."